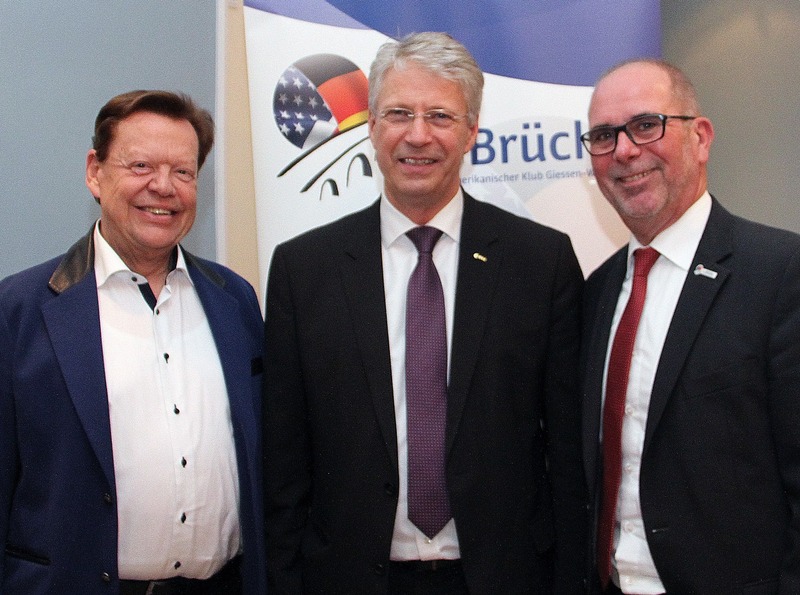 “Make the world a better place” – with this slogan President Roger Schmidt names the aim of the German-American Club “Die Brücke” Gießen-Wetzlar. At the New Year’s Reception on Wednesday evening roughly 80 guests and club members gathered to welcome a new exciting year of international understanding. INTERKULTUR President Günter Titsch was also among the invited guests. Being the initiator of numerous choir competitions and festivals all over the world he is also making an important contribution to international understanding since 30 years now. Special guest astronaut Thomas Reiter explained how important understanding between nations is in the field of astronautics. The Frankfurt native is one of the most popular representatives of space flight. In his lecture he took the guests on a trip into the universe and exciting international astronautics. By means of many photos of his missions and short video clips the audience got an insight into the international astronauts’ daily life of research and numerous activities of the European Space Agency (ESA). 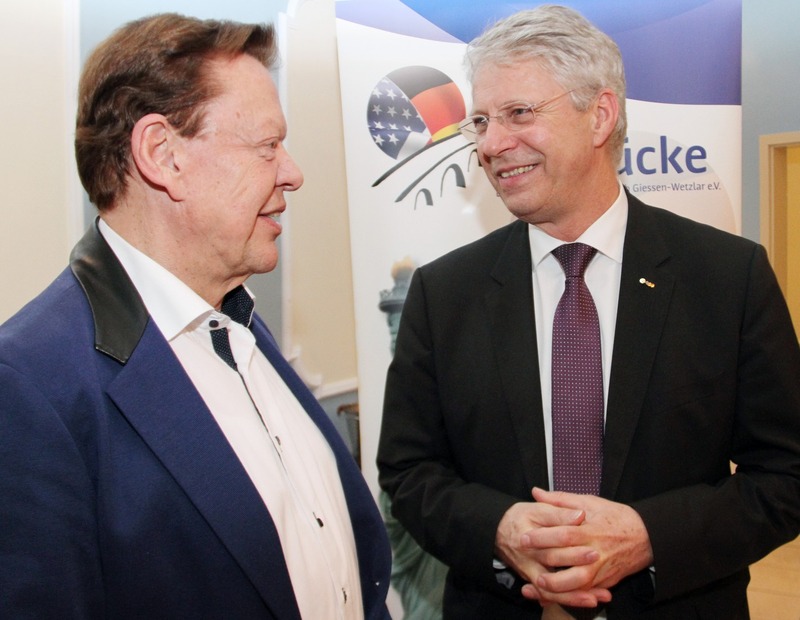 INTERKULTUR President Günter Titsch followed Thomas Reiter’s lecture with high interest and took the opportunity of a personal exchange with the famous space man at the reception. 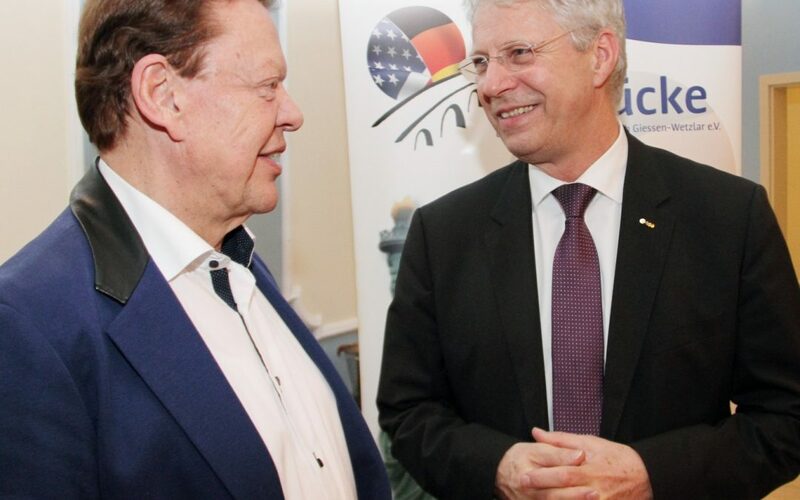 The New Year’s Reception of “Die Brücke” regularly features high-profile guests, among them in recent years Helge Braun, Minister of State in the German Chancellery or Markus T. Laubenthal, “Chief of Staff” at the U.S. Army Europe as well as diplomatic guests from the United States and China. It’s also a tradition at the New Year’s Reception to invite choirs for musical entertainment. This year the choir “TON IN TON” and conductor Matthias Schulze performed during the evening.